Sales of organic cotton apparel and home textile products increased 35% in 2009 to $4.3 billion, according to a report released this week. Over the past decade, beginning in 2001, the annual average growth rate for organic cotton sales is 40%. “Many people thought the recession would mean an end to all things organic, but the market reacted in quite the opposite way,” said LaRhea Pepper, senior director of the Organic Exchange, which produced the report. Organic Exchange, which released the 2009 sales data, projects the global organic cotton market will increase an additional 20%-40% in both 2010 and 2011, resulting in an estimated $6 billion market by next year. While the list of top organic cotton buyers features retail giants like Walmart and Nike, it also includes a few of our favorite promotional products, including the Organic Economy Tote. Made from 100% organic cotton, we liked these totes so much we bought them for our own self promo. 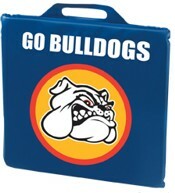 Utilizing promotional products is a great way to build brand awareness for your organization. There are thousands of products available at virtually every price point imaginable. So where do you start? How about leaning on somebody else’s brand to help build your own brand awareness. When a name brand product is used as part of your promotional campaign, the good will of the name brand will help support your own brand. 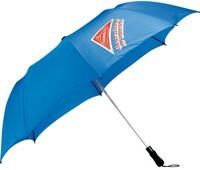 And a name brand product typically provides for a higher perceived value than other promotional gifts. 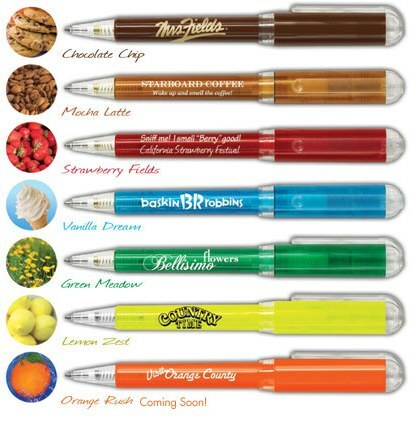 Here are a few of my favorite brands available through promotional marketing. This is a company with a great history of innovation beginning in 1902. 3M invented a number of interesting products from waterproof sandpaper in the early ’20s to Post-it Notes in 1980. You know that a product has achieved a great level of success when the name of the product is ingrained into our consciousness like Post-it Notes. We offer some less expensive alternatives such as BIC Sticky Notes, but in our opinion, 3M’s Post-it Notes are still the best adhesive notes on the market today. 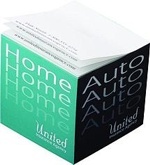 They come in all shapes and sizes, and can be imprinted with your company information. 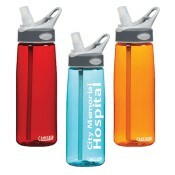 Two of the most recognizable brand names in drinkware, Nalgene and Camelbak produce the best water bottles available. They’re nearly indestructible and are now made from BPA-free materials. Durable water bottles are also eco-friendly. Did you know that 8 in every 10 plastic water bottles end up in a landfill? And that we use more than 1.5 million barrels of oil annually to make these water bottles? Just imagine if we all started using refillable water bottles instead. And then imagine if everyone had a refillable water bottle with your logo on it. There are a number of name brands available, but when it comes to knives, give me a Buck or a Swiss Army every time. Buck makes a great assortment of hunting knives and folding pocket knives that can be engraved with your logo. 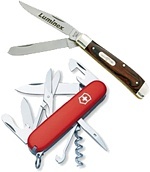 And haven’t we all had a Swiss Army Knife at some point in our lives? Their multi-function knives make awesome gifts. I’ve got a couple of them. 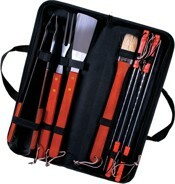 They are still among the most popular knives in the industry. Another name brand I have a personal fondness for is Fossil. I wear a Fossil watch, as does my wife. At my last business, we used to give Fossil Watches to our employees on their fifth anniversary with the company. They offer a nice variety of high-quality watches. 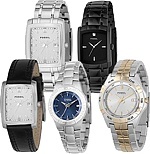 Most brands of watches including Timex and Callaway are available and can be decorated with your organization’s logo. Yes, that Coleman. The makers of Coleman coolers! Coleman was founded more than 100 years ago in Wichita, Kansas. Originally a manufacturer of lanterns, Coleman expanded into leisure and camping products when they introduced a galvanized steel cooler in 1954. By the ’60s, Coleman had become the biggest name in the camping business. A great and trusted brand. 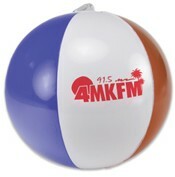 And a great promotional gift that can be imprinted with your brand. In our book, Nike is a winner all the way. The brand carries more oomph than virtually any other brand on the market today. The Nike swoosh is possibly the most recognizable logo ever created. And there are a number of Nike products available to the promotional products industry including apparel, golf balls, golf bags, sunglasses, golf shoes and golf clubs. Edibles are often overlooked as promotional gifts, but there’s typically no faster way to a client’s heart than through their stomach. And it doesn’t stop with the M&Ms. We’ve got Skittles, Jelly Belly, LifeSavers and much more. Yum. Great packaging and decoration ideas. All you’ve got to do is ask. All of this is just the beginning. We’ve got Alicia Klein, Baden, BIC, Case Logic, Cutter & Buck, FootJoy, Jockey, Munsingwear, Pinnacle, Prang, RCC Koozie, Sharpie, Slinky, Tervis Tumbler, Thermos, Titleist, uni-ball, Wilson, Zippo and much more. 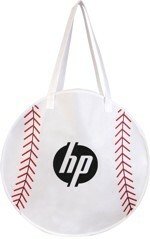 Utilizing a name brand will help you build your own brand awareness. The Eco Water Saver™ Shower Timer is a fun way to promote water conservation. 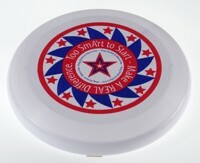 This eco-friendly product is a twist-action five-minute shower timer with suction mount. 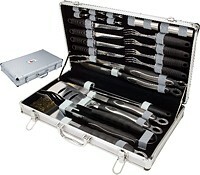 Perfect for hotels, water districts, cities, schools, plumbers and conservationists. 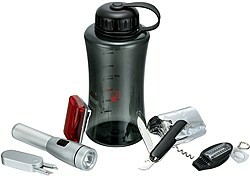 Made from a shatter-resistant timer and 70% recycled plastic body. 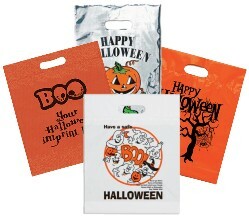 As Earth Day quickly approaches, we continue to look for interesting items that fit well within an eco-friendly promotional campaign. 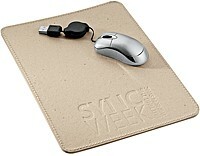 This week we’ll focus on products made from recycled content. There are two types of recycled material available for manufacturing: post-consumer and post-manufacturing. Post-consumer is previously used material that comes directly from products such as used water bottles that have been shredded, purified and reformed into another product. Post-manufacturing material comes from scrap raw material left over from producing another product. This material otherwise would be thrown away. Did You Know: Recycling plastic saves 70% of the energy used to create new plastic. Paper recycling saves 40% of the energy required to make a new product. A fun promotional novelty, take your pick from piggy banks made partially from retired currency, denim scraps, yellow pages or electronics. Take note – on recycled paper, that is! 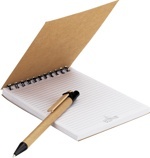 The natural, 60-page, top spiral bound mini jotter and matching pen are held neatly in a transparent snap pouch. Carrying this black duffel will feel so natural! 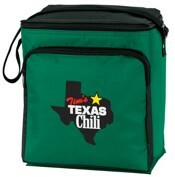 Eco-friendly, the overall bag is made of 90% recycled material, 80% post-consumer recycled pet, has 26″ handles, 56″ adjustable webbed shoulder strap, zip closure, and a front pocket. 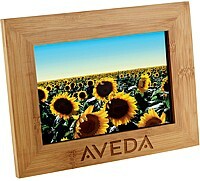 Eco-friendly frames are as meaningful as the photos within them. This one is 4”x6” and has a hinged easel back made from recycled Kraft paper and backing board. Be the messenger for going green! This black messenger bag is made of 90% recycled material, Fabric: 80% post-consumer recycled PET. The removable/adjustable webbed shoulder strap makes it easy to carry all the items you tuck into the front flap pocket with Velcro closure, zippered front pocket, side elastic pocket and side pen holders. Writing has never felt this natural! This eco-friendly spiral notebook, equipped with a matching pen and transparent snap pouch, is filled with 60 pages of recycled paper. Post it again! Made of recycled paper, this flag and note set appeals to an eco-friendly lifestyle. It comes with five colors of flags (20 each) and a 65x65mm light yellow note pad with 20 sheets. A great line of pens and pencils made from at least 30% post-consumer waste. These items are made from recycled denim, currency and newspapers. Get write on it. Made from 75% recycled newspaper and 25% new paper, five colors to choose from and brass-colored ferrules with green erasers make this an ecological sound investment in our future. Easy to sharpen and splinter free. Taper reveals recycled newsprint! 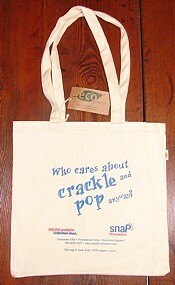 Promote the three R’s with this eco-friendly tote! 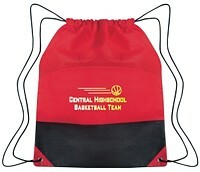 Reduce, reuse and carry around this bag made with 98% recycled material. Fabric: 80% post-consumer recycled PET. 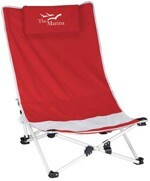 It has 26″ handles, 4″ gusset and comes in classic black or white. Still need more ideas? Just give us a call. We’re full of them!